Twisted question isn’t it? But it’s true. A ’30 liter’ dehumidifier can collect 55 liters. When you intend to acquire a swimming pool dehumidifier it is completely normal you compare amongst various sources such as your pool builder, local shop and obviously internet. A swimming pool dehumidifier is a machine that dries your pool hall by collecting water from the air thus preventing from condensation on windows and walls. This keeps the humidity (vapor from pool water) under control and effectively prevents mould, bacteria or bad odor. We, at Microwell, meet with tons of enquiries for pools every day. We learned that often potential customers compare various products at a single figure with belief of getting better price. Thereby the selection of an appropriate unit is not always properly done. This then naturally results in a disappointed buyer, long discussions with the seller and many times ends with a purchase of another dehumidifier which is properly selected. Learn from others’ mistakes and get your unit properly selected. 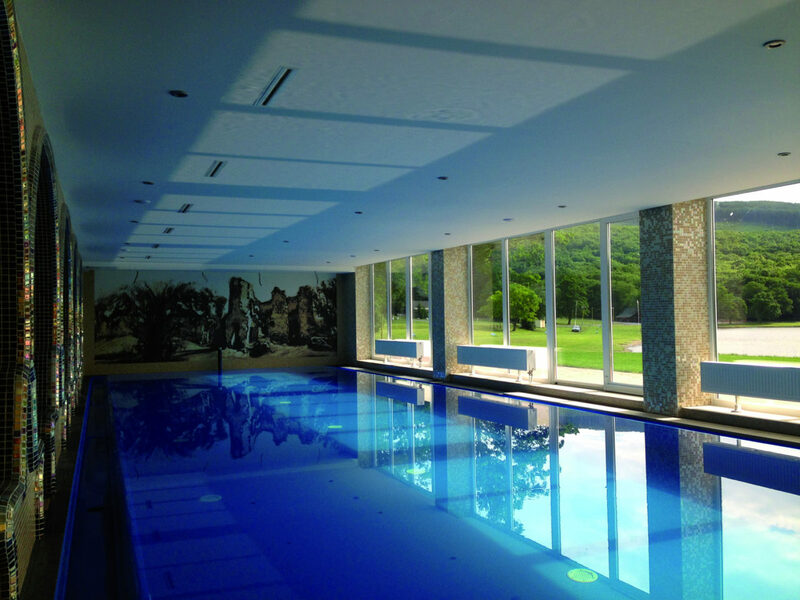 Usual swimming pool or spa is heated up to 30°C of an air temperature. Correct humidity in pool is between 55% and 65%. The DRY400 collects 65 liters per day at air temperature of 35°C and air relative humidity of 80%. At air 15°C and humidity 40% it can collect no more than 6 liters per day because there is just no more water ‘within the air’. By usual pool conditions it collects 48 liters. Now the trick is not to compare the price of two units according to figure of extraction in liters, e.g. 65 liters but to compare according the same conditions. Always check at which air temperature and air relative humidity this figure is taken. Many resellers, in order to ‘boost’ the performance of their units or to increase the price/performance ratio state the performance of the dehumidifier at air 30°C and humidity 80%. These conditions would kill your pool in less than 3 days. The humidity above 70% causes immediate growth of bacteria, mould and starts deteriorating the building fabric. Below is the extraction rate performance graph for a swimming pool dehumidifier Microwell DRY400. On the left you can the water collection in liters per day. On the bottom you can the various air temperatures and curves shows actual water collection values at different air relative humidity.